How do you get the kids to gather ’round after a long day of fun in the sun? Bring out the cows…The Chocolate Cherry Cows that is! Moo! If you’re a fan of chocolate covered cherries, then I’m quite sure you’re going to love these Chocolate Cherry Cows! They’re so good, you’ll want to sip on them until the cows come home. -For each cow, fill a tall glass with several scoops of chocolate ice cream. 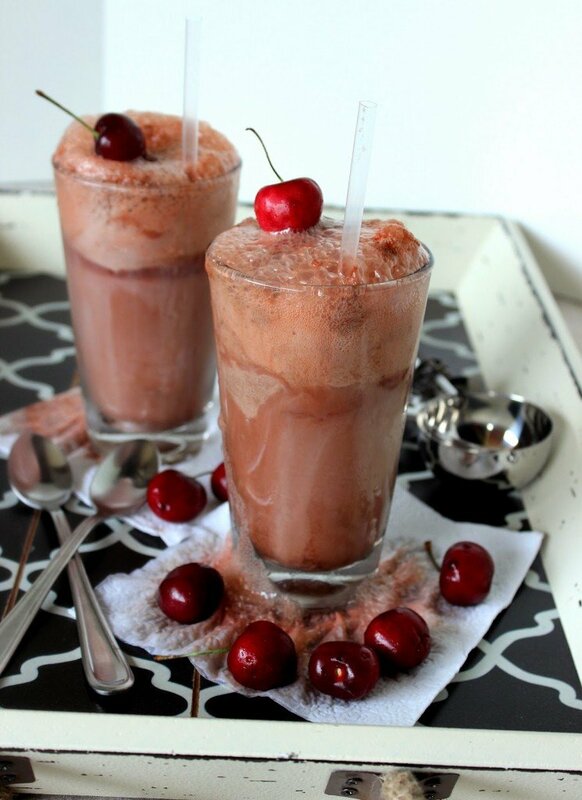 -Pour Dr. Pepper cherry flavor soda into the glass. -Serve with a straw and a tall spoon. If there is ever anything I can paint for you, please don’t hesitate to contact me or visit my shop which is located within the navigation bar. Custom orders are always welcome, and I can work from any photo or description you send my way! I’m thrilled to be linking up this recipe to My Turn for Us summertime BBQ link party. that sounds and looks amazing Renee! That looks terrific! I wish I could try it, but I hate to say that I don't like Dr. Pepper. My husband does though, so maybe I'll make it just for him! You had me at Chocolate! LOL Sounds heavenly! I love ice cream sodas! This version is so tasty. They look fantastic! 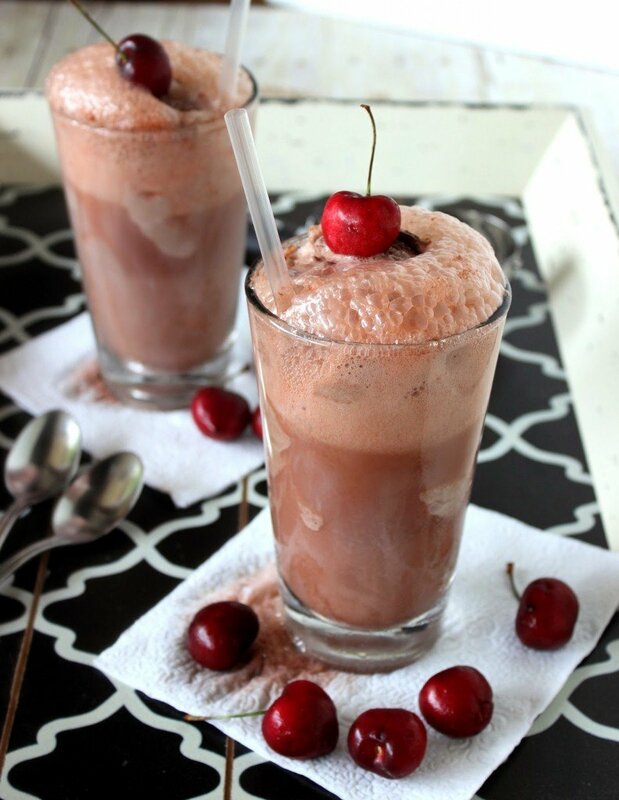 Mm, I made chocolate cherry milkshakes a few weeks ago – love that flavor combo! This looks like a childhood dream! YUM!! Who doesn't love chocolate covered cherries?!! This is so fun! If I drank soda, I'd be all over that! Dreamy dessert!! And I'm with Ashley, who doesn't love chocolate covered cherries? Now this is one delicious way to beat the heat!!! 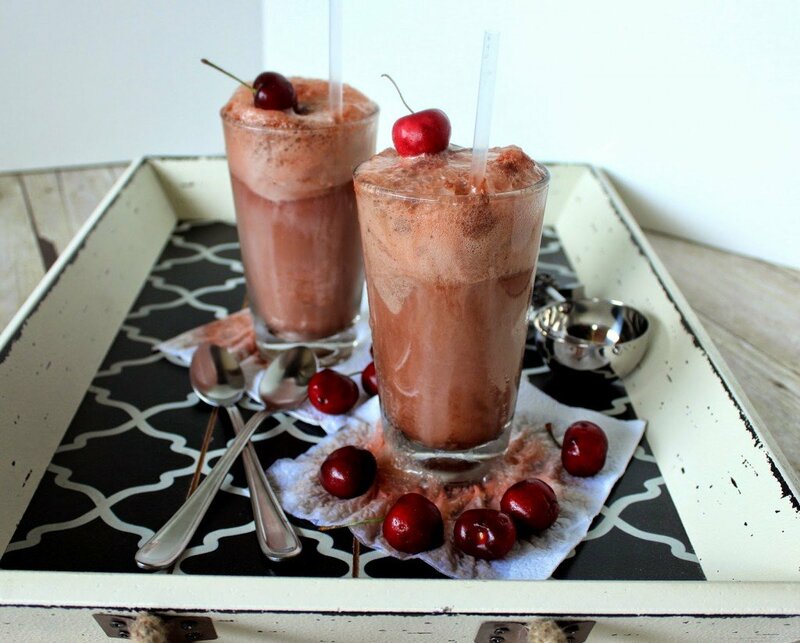 I love chocolate and cherries…. and your cow pitcher is adorable! I could definitely sip on one of those until the cows come home. I adore your pitcher! I love Chocolate & cherry together! 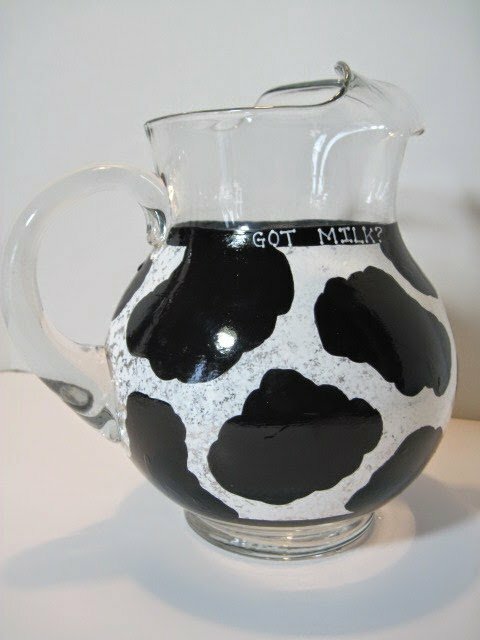 Love that cow painter pitcher too! WHOA. These look awesome. Totally love the pitcher, too! That's such a cute tray!! I'm also a huge fan of chocolate and cherry – yum! !